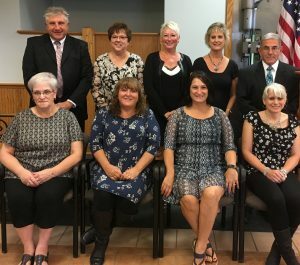 FULTON – Fulton Savings Bank recently honored 17 employees for their years of dedicated service to the bank and its customers. 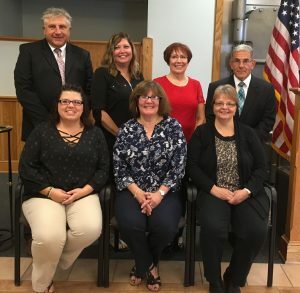 Fulton Savings Bank President and CEO Michael J. Pollock and Executive Vice President Jerome Mirabito congratulated bank employees with 10 and 15 years of service. Fulton Savings Bank recently honored 17 employees for their years of dedicated service to the bank and its customers. 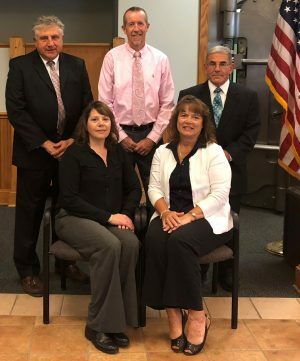 Fulton Savings Bank President and CEO Michael J. Pollock and Executive Vice President Jerome Mirabito congratulated bank employees with 20 and 25 years of service. Seated from left: Sue Wescott (20 years); Patricia Groff (20 years); Kristie Engebretsen (20 years) and Rochelle Jay (20 years). Standing from left: Pollock, Debra Braden (25 years); Sharyl Kelly (20 years); Lori Eno (20 years) and Mirabito. Absent: Terese Baldwin (20 years). Fulton Savings Bank President and CEO Michael J. Pollock and Executive Vice President Jerome Mirabito congratulated bank employees with 30, 35 and 40 years of service. Seated from left: Darlene DeRocha (30 years) and Nancy Kush Ellis (40 years). Standing from left: Pollock, David Holden (35 years) and Mirabito. Absent: Charrise Kidd (30 years).